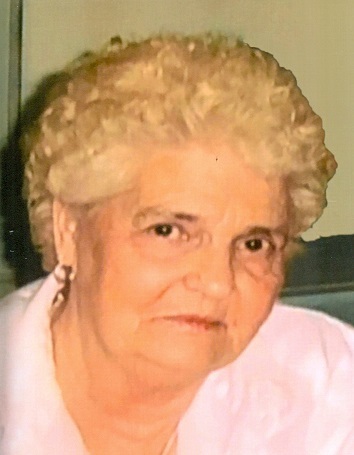 Shirley Jean (Woodcock) Hicks, 83, of Shirkey Nursing and Rehab in Richmond, MO and formerly of Kansas City, MO, and St. Peters, MO, passed away October 7, 2018. She was born April 7, 1935, in Sikeston, MO, the daughter of Thomas and Julia (White) Woodcock. Along with her parents, Shirley was preceded in death by her husband, Willis "Bill" Hicks; son, Rob Hicks; sisters, Thelma Killian and husband Jay and Bernice Conard and husband Joe; and brother, Glen Woodcock. Shirley was a charter member of Oakridge Baptist Church in St. Peters. She and her husband Bill operated Spot Tree Landscaping Company in St. Peters for many years. Survivors include her son and daughter-in-law, Mark and Lisa Hicks; daughter-in-law, Stacy Fite (Eric); grandchildren, Steve Hicks (Charity), Lindsey Bailie (Brett), Emily Horton (Dakota), Rob Hicks (Lauren) and Savannah Fite; sister-in-law, MaryEllen Woodcock; and numerous nieces and nephews. Shirley will be remembered as a loving mother, grandmother and aunt. She loved bowling, singing in the church choir and always had beloved pets in her home. Visitation will begin at 1:00 pm, followed by a service celebrating Shirley's life at 2:00 pm, on Wednesday, October 10, at Park Lawn Northland Chapel, I-35 at State Route 291, Liberty, MO. Graveside services will be held at 3:00 pm Thursday, October 11, at Brown Chapel Cemetery in Broseley, MO. In lieu of flowers, memorials are suggested to the Alzheimer's Association.